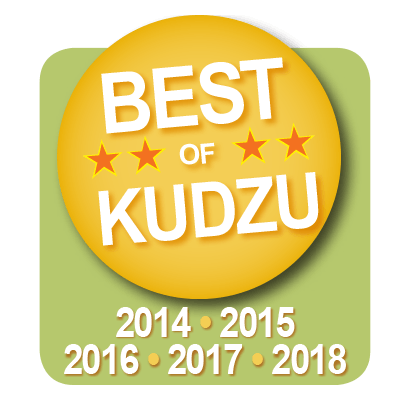 The Benefits of Professional Mosquito Control | Is Mosquito Control DIY? Mosquito season is rapidly approaching. As temperatures in Atlanta are routinely surpassing 50 degrees, mosquito eggs that were laid before winter are starting to hatch. Brand new swarms of mosquitoes are taking over our yards. Outdoor activity is becoming more enjoyable. But the mosquitoes that follow us through the warmer spring and summer months are already starting to take hold. Some see mosquito control as a DIY project. However, there are many benefits to hiring a professional mosquito control company. If you want to enjoy the benefits of professional mosquito control, the time to start is now, before mosquitoes take over your yard. Some people think mosquito control is a do it yourself kind of project. The truth is a little more complicated. 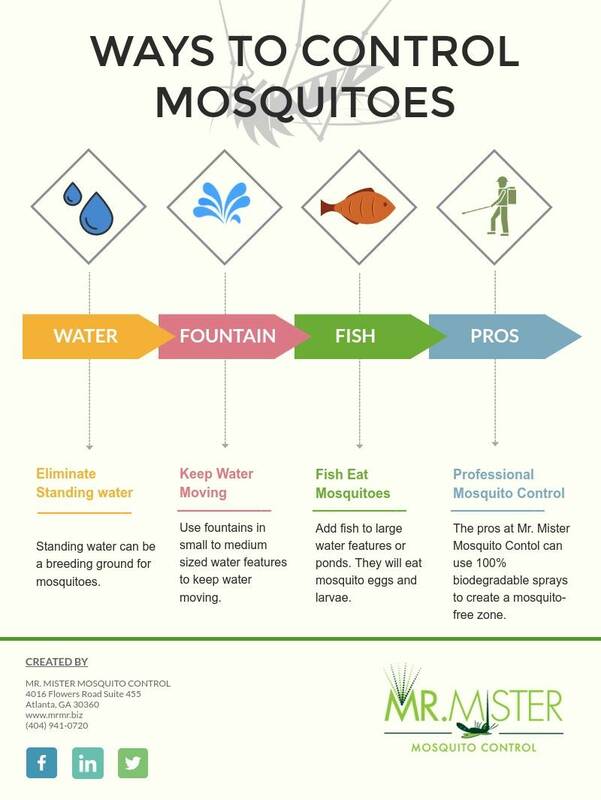 There are definitely steps you can take on your own to help reduce mosquito populations. But there is nothing you can do yourself that will replace the work of a reputable mosquito control company like Mr. Mister Mosquito Control. The options available to a professional mosquito control company are not available to your average do it yourself-er. Sure, you could pick up some mosquito treatment chemicals at your local home improvement store. You could even get a fancy sprayer to go with your chemicals. But nothing beats the knowledge, experience, and professional materials you get working with the pros. If you are considering undertaking your own mosquito control this season, here are some reasons you might want to reconsider. Thee are definitely certain steps you can take on your own to help reduce mosquito populations. None of these is a replacement for professional mosquito control. But they can complement a professional service, making it more likely your service will be 100% effective. By working together, a proactive homeowner and a professional mosquito control company can eliminate almost all mosquitoes from your property. One major method for reducing mosquito populations is to deprive them of places to breed. Typically, mosquitoes lay their eggs in standing water. This means that any standing water is a potential mosquito hazard. Of course, mosquitoes can lay their eggs in as little water as you could fit in a soda bottle cap, so removing all standing water can be a tough project. But the more standing water you can avoid, the better. Look around your yard for obvious signs of standing water. If you have yard furniture, patio furniture, or other movable items, look there first. It is very likely that you will have some standing water that has pooled on your furniture. Small puddles on the seats of chairs or on outdoor tables are an open invitation to female mosquitoes. Tilt tables and chairs to let the water roll off. Repeat this process after any rain. Similarly, if you have a grill, make sure it is covered and that the cover fits snuggly. While a good cover will prevent mosquitoes from laying their eggs inside your grill, a loose fitting cover remains a problem. If a grill cover has wrinkles in it, it could easily hold small amounts of standing water in its folds. Pulling a grill cover tight is a great way to reduce mosquito breeding grounds. Do you have children’s toys in your yard? A play structure often has many nooks and crannies where standing water can pool. Check your children’s play structures carefully to find where water is collecting. If a structure is not attached to the ground, tilt it over to pour out standing water. If your structure is the sort that is firmly attach to the ground, you may have to find other ways to get rid of standing water. An old towel is a great way to sop up standing water. However, it is best to avoid water pooling in these hard to solve areas. One important step is to make sure that play structures have adequate covers to prevent precipitation from pooling on the structure itself. Other potential sources of standing water include water features in your garden. A bird bath or small pond can be a beautiful addition to your garden. But make sure the water in them doesn’t stagnate. One way to do this is to install a simple fountain in your water feature. Besides the appealing look, fountains keep the water in your water feature constantly on the move. As water is sucked into the fountain and then poured out again it becomes less attractive to a female mosquito looking for a tranquil spot to lay her eggs. Mosquitoes require only a very small amount of standing water in which to lay their eggs. A tiny puddle the size of a bottle cap can be enough to provide space for mosquito eggs. One common source of these tiny pools is dry leaves that have fallen from the trees on your property. A fallen leaf creates a neat little bowl that can collect rainwater or other precipitation. To avoid this, rake up fallen leaves regularly. Once the leaves are collected, do not leave them in a pile on your property. That would defeat the whole purpose of raking. Instead, look for a place to compost your yard waste. Many sanitation services will pick up yard waste in addition to standard trash and recycling. Call your local waste management service to find out more. One of the most attractive water features in a garden is a small pond. Depending on its size, a pond can be a pleasant spot to gaze into your reflection, or even a home to a variety of wildlife. If the pond is small, a fountain might do the trick. But a larger pond would require a larger fountain or multiple fountains to keep the water moving. If this is impractical, you have other options. One beautiful way to keep your pond from collecting mosquito eggs is to stock it with large goldfish, or as they are often called, koi fish. The fish in your pond will feast on small bugs that land on the water, including mosquitoes and their eggs. Other types of fish and wildlife can also help control mosquito populations. So make your pond a gathering place for the natural inhabitants of your neighborhood. While there are plenty of ways to proactively reduce the number of mosquitoes in your yard, it is nearly impossible to get rid of them all. This is where the professionals come in. Professionals like those at Mr. Mister Mosquito Control can come to your home on a regular basis (once every 21 days for Mr. Mister) and apply chemicals that kill mosquitoes and inhibit reproduction. By adding this to your mosquito control regimen, you can create a mosquito free zone around your home. One reason to avoid DIY solutions to mosquito control is that you may end up working with unsafe chemicals. If you don’t know what you are doing, it is best to avoid spraying your own yard. However, the professionals at Mr. Mister Mosquito Control know how to handle these chemicals. We also know that you don’t want poisons sprayed all over your property. This is why we use a solution that is 100% biodegradable and safe to use around children, pets, and of course adults, too. While it is recommended to have pets and children avoid the area that has been sprayed for a brief time after spraying (less than an hour), you can continue to enjoy the residual effects of the anti-mosquito solution for up to three weeks. Mr. Mister Mosquito Control offers two great ways to keep mosquitoes out of your yard. The first is our ClearZone Misting Service. A Mr. Mister representative will come to your home once every 21 days to apply an anti-mosquito solution to the foliage around your yard. They will also focus on common problem areas, like around drains and downspouts. Another option is to install an Automated Misting System. These systems work like an installed sprinkler system. But instead of watering your plants, they release a fine mist of mosquito controlling chemicals. You can set your automated misting system to spray at just the right times, usually in the morning and early evening when mosquito activity peaks. To learn more, contact us online or call us at (404) 941-0720.